Newcastle-based North Spas has scooped the top prize at the first ever Arbordexperts Installer Awards after the company’s Peffer project was named ‘Best of Trex’, impressing with its raised level deck, complete with stairs, lighting and a central hot tub. ‘North Spas’ Davy Mason will be whisked away for a money-can’t-buy four day trip to Washington DC, where he will be given a behind the scenes tour of Trex University and production facility – with plenty of time for sightseeing in the US capital too. As well as taking the top accolade, North Spas came out on top in two categories: Best Small Trex Deck for its pond surround project in Seaham and Best Trex Design Solution for its raised level deck in Whickham, near Gateshead. North-west based Whalley Construction won the Best Large Trex Deck category with a beautiful 80m² deck which incorporated a sweeping curved border (shown above). M W Benney took the accolade for Best Commercial Trex Deck for its 400m² project at Torquay Marina which takes pride of place in a busy tourist area (shown above). All category winners received £250 in vouchers, and will have their decks professionally photographed and promoted via our dedicated website and social media channels, giving the winning businesses a boost. 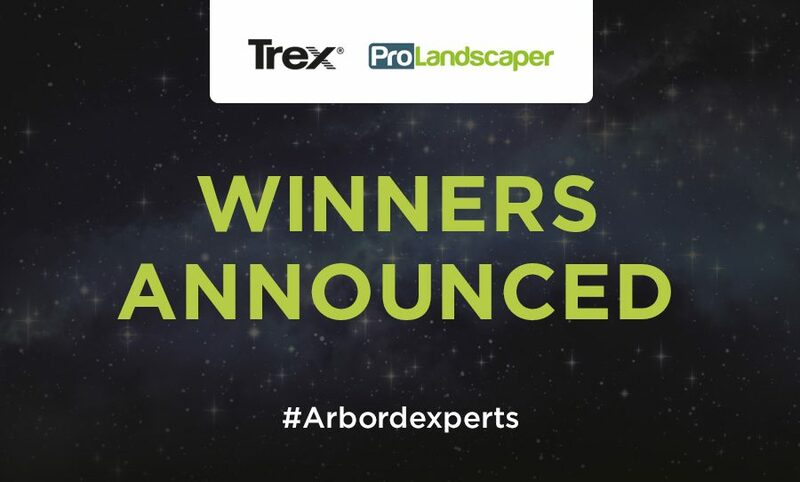 Winners can showcase their accolade by using the ‘Arbordexpert Installer Award Winner’ title, logo and certificate of achievement. Sarah Francis, decking category manager at Arbor Forest Products and one of the judges of the Abordexperts Installer Awards, said: “On behalf of all the judges, I’d like to congratulate North Spas on taking home the top prize – and to thank all of our category winners, who stood out in what was a very competitive field. “The standard of entries was very high, which made choosing an overall winner pretty tricky – but in the end we all agreed that North Spas should take the grand prize.